Company watch: Is TPG-backed Vishal Mega Mart ready to script a turnaround? In 2010, Vishal Retail Ltd was a beleaguered entity. Burdened by debt of Rs 766 crore, the Ram Chandra Agrawal-promoted company was forced into a fire sale. 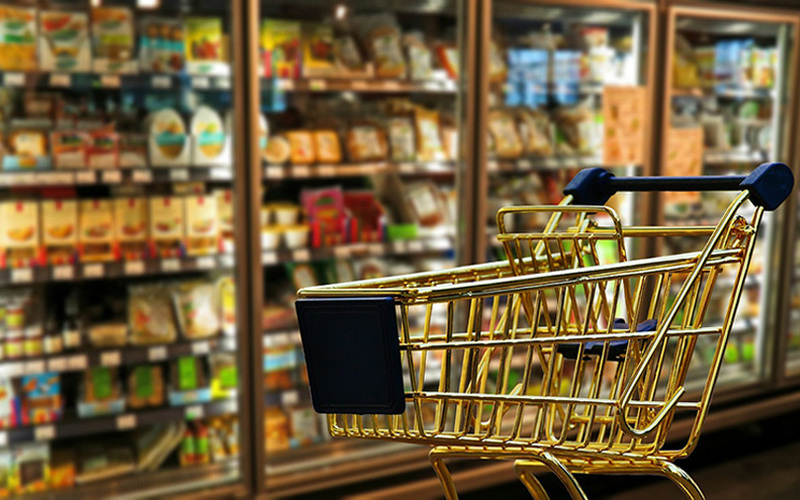 Seven years on, things are certainly looking up for the retail chain, but it is still struggling with its operational efficiencies in the face of a more competitive and price-conscious market. Vishal Retail, which began its operations in 2001 in Kolkata as a seller of readymade apparel, had become a significant player in the manufacturing and retailing of readymade apparels and non-apparels, besides fast-moving consumer goods. It sold everything from food and farm products to furniture, primarily catering to Tier-II and Tier-III cities. The company operated in the ‘value retail’ segment – selling reasonably-priced goods, either manufactured in-house or procured from small- and medium-sized manufacturers. It ran apparel manufacturing facilities in Gurgaon and Dehradun, and a bakery in Gurgaon. However, Vishal Retail’s fortunes began to dwindle in the aftermath of the global financial crisis of 2008-09. It had to close down its manufacturing operations at both plants and give up on its plans to expand its operations. The debt-laden company was subsequently forced into a restructuring exercise that was led by the State Bank of India. The move was initiated at the behest of HDFC Bank Ltd, HSBC, UCO Bank, Bank of India and ING Vysya Bank Ltd. In September 2010, three years after listing on the bourses, Vishal Retail had to finally announce the sale of its retail, franchise and wholesale businesses to Chennai-based Shriram Group and private equity firm TPG for Rs 70 crore. As of December 2010, the company reportedly had 172 outlets across 129 cities. Since Indian laws did not allow foreign entities to get into multi-brand retailing in 2010, the company was divided into two parts – TPG Wholesale Pvt. Ltd was the wholesale and franchise arm, while Airplaza Retail was the retail arm. TPG Wholesale, which was later renamed Vishal Mega Mart Pvt. Ltd, was owned by private equity major TPG. Airplaza Retail was owned by Shriram Distribution Services Pvt. Ltd. The two entities that constituted Vishal Mega Mart, remain unlisted. While the TPG-owned Vishal Mega Mart runs the back-end sourcing, franchisee, merchandising and logistics arms, Shriram Group’s Airplaza Retail runs the front-end retail shops. The former effectively acts as a franchiser to Airplaza and other independent franchisees who run under the same brand name. The latest annual filings show that Airplaza Retail operates 174 stores, while the wholesale arm has a master franchisee network of 189 stores. The erstwhile Vishal Retail, the listed entity, was spawned off into another retail chain, V2 Retail Ltd, by the original promoters. But how well did the deal work out for Shriram and TPG? Did the new investors manage to revive the fortunes of the company? While TPG declined to comment for this story, the Shriram Group did not respond to an email requesting comment. Moreover, there are few publicly available or reported details on the company’s operations or its growth strategy since the 2011 takeover. However, a detailed analysis of filings with the registrar of companies by the two companies between 2012-13 – the first full year of operations following the takeover – and 2015-16, paint a reasonably pleasant picture of the goings on in the company. Before it was sold off to the new owners, Vishal Retail had been losing ground steadily. Between 2008-09 and 2010-11, it had seen its net sales plummet more than 30% from Rs 1,393 crore to Rs 1,064 crore. The new management, however, can take heart from the fact that they have managed to reverse the trend. Moreover, the earnings before interest, taxes, depreciation and amortisation, or EBITDA, figures – a measure of operating profitability – may lead one to believe that the company has scripted a fantastic turnaround. But as one delves deeper, one may realise that the EBITDA numbers only give one side of the story. In its first full year of operations since TPG took over, Vishal Mega Mart had registered a negative EBITDA of Rs 5.49 crore. In comparison, between 2013/14 and 2015/16, the company’s EBITDA zoomed 3.6 times to Rs 57.52 crore. However, although the two companies recorded a steady growth in net sales, it did not translate into net profits. In fact, despite net sales growing by over 60% during the period, both companies remained in the red. The wholesale arm, however, managed to pare its losses by more than half during this period. When TPG had taken over the wholesale business of Vishal Retail, the PE firm had said that it will infuse around Rs 200 crore into the business to turn it around. According to the filings with the Registrar of Companies, it did infuse a little over Rs 358 crore by way of equity between 2012 and 2016. Documents show that while in 2012 it had pumped in Rs 41 crore, in 2014 it put in another Rs 219 crore. In the latest round in 2016, the company had secured a further infusion of Rs 98 crore from the parent. The Crisil report, however, put the total equity infusion at a much higher Rs 769 crore in the same period. Considering that Vishal Mega Mart operates in the value retail segment, it has few competitors of significance. Therefore, exact comparisons are hard to make. Having said that, if one compares it to top retailers such as Reliance Retail, D-Mart and Aditya Birla Retail, Airplaza trails them on a compounded annual growth rate (CAGR) basis, but the bigger wholesale arm Vishal Mega Mart has done better than its direct competitors Walmart India and Metro Cash and Carry India. Although Vishal Mega Mart has managed to pare its debt significantly, it still remains high at over Rs 407 crore as on 31 March 2016. The CRISIL report said that the company has high annual debt repayment obligations at Rs 80-100 crore for the next three years. It went on to add that its financial risk profile will remain ‘modest’, going forward. According to the ratings agency, Vishal Mega Mart’s other risk remains the price sensitivity of the demographic – the lower middle-class segment in Tier-II and Tier-III cities – to which it primarily caters to. “It primarily competes with retailers in the unorganised segment, who are highly price sensitive,” the report said. Organised retail comprises less than a tenth of the total retail market in the country. However, the ratings agency also said that Vishal Mega Mart is “positioned uniquely in the retail segment driven by its favourable product-mix and target segment”, and the “high proportion of apparels and general merchandise provides healthy profitability, while the food and grocery segment attracts footfalls, thereby ensuring that the company’s exposure to competitive intensity is relatively lower as compared to other players in the retail segment”. So, all is not lost for the homegrown retail chain and, despite the challenges before it, Vishal Mega Mart seems to be on the path to revival. Only time will tell, whether it can script a success story with its unique positioning in India’s retail segment.